She is one of the twins, her twin being Ying. 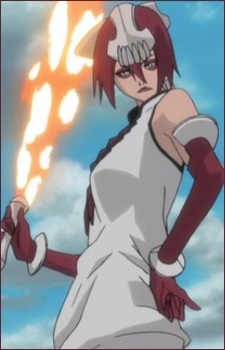 She is an arrancar, not too powerful, which serves Kusaka. She is an user of a fire sword, and all her attacks are based only on fire.